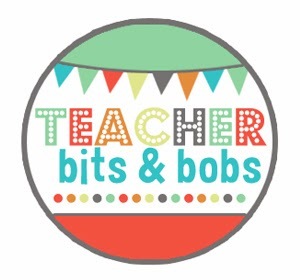 Blog Hoppin': Fall Feature from Kindergals and Teacher Bits and Bobs! 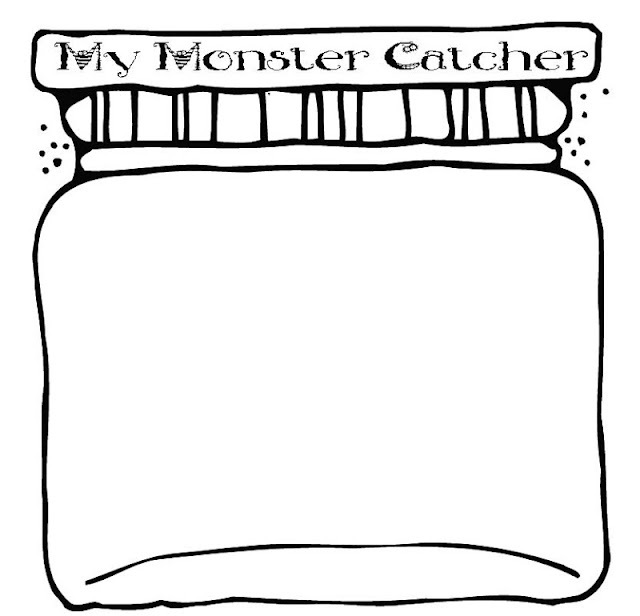 Fall Feature from Kindergals and Teacher Bits and Bobs! Hey! It’s Kim from kindergals! I try really hard to like fall, but….I am a summer girl. Usually I’m when Fall comes because it means that cold weather is just around the corner. Anything below 60 and I need a coat! So I try to find lots of fun things to do so that I can be more positive about this season. Our family goes to a ranch each fall and picks apples and pumpkins. We take a hayride and do the corn maze. I buy some new fall clothes…and plan my fall get away to somewhere warmer! So enough about me…what are we doing in Megan’s room to celebrate the season? Here are a few things from our Apples and Pumpkins Unit. We used interactive writing to write the life cycle of the pumpkin. The kids made this fun little pumpkin craftivity from a small water bottle to show the life cycle of the pumpkin. We learned lots of information about pumpkins and the kids wrote two facts they learned and drew their diagram. We compared the characters and their adventures in The Biggest Pumpkin Ever. Half the class worked with me during an interactive writing lesson to write all about Desmond. The other half of the class worked in centers. Then we swapped. The other half of the class wrote about Clayton. When we came back together on the rug, we constructed the Venn Diagram by reading their sentences and deciding where it belonged. For this lesson we talked about words that could describe a pumpkin. The kids painted two paper plates and I stapled the together to make a pumpkin. Inside they put their own bubble map and wrote words to describe pumpkins. We also made a brace map for the parts of the pumpkin. We did the same thing for apples. 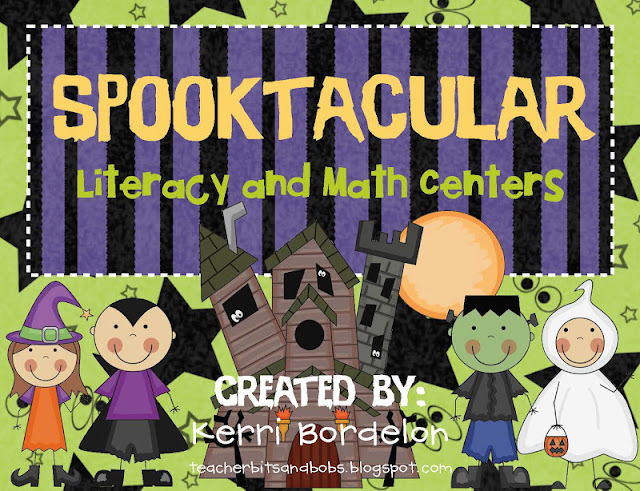 As a matter of fact, in this unit I did apple activities just like the pumpkin ones! So, it’s like two units in one. Here’s where we did our nonfiction interactive writing about apples. On the right is the describing words for apples. In the middle you can see what the inside of their craftivity looks like. We had a tasting party and tasted red, yellow and green apples. Then, we made a pie graph to show which ones we liked best. Here is our craftivity for the poem Way Up High In the Apple Tree. We finished the unit by comparing apples and pumpkins! This isn’t all of the activities in the unit, just a few that I remembered to take pictures of! Is anyone else excited about Halloween, like me? Usually, I am all bah humbug about this holiday, but for some reason this year, I am all kinds of excited about it! My daughter and her 2 friends are going to be ROCK, PAPER, and SCISSORS, so I will be making one FABULOUS rock costume next week! Any tips for me?? so I have decided to have my costume be one giant mustache from head to toe! 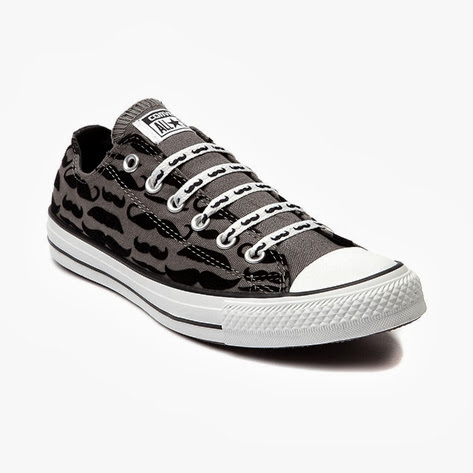 Mustache shirt, mustache PJ pants, mustache shoes, even mustache accessories! 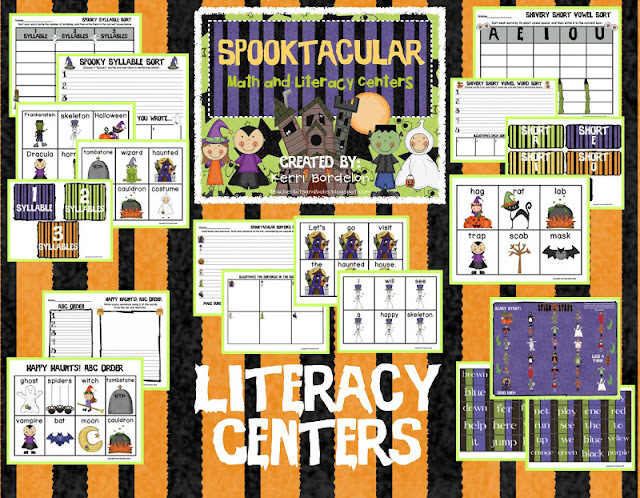 Here are some fun little centers to get your students into the spirit of All Hallows Eve- My "Spooktacular Literacy and Math Centers"! 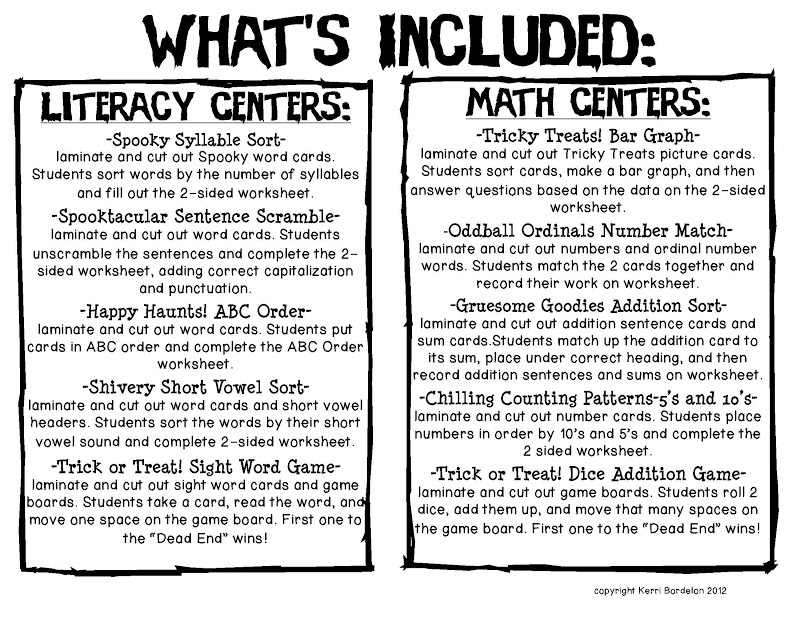 I have to say that these centers are pretty darn cute, and my Firsties love them! They went B-A-N-A-N-A-S last year for these bad boys! 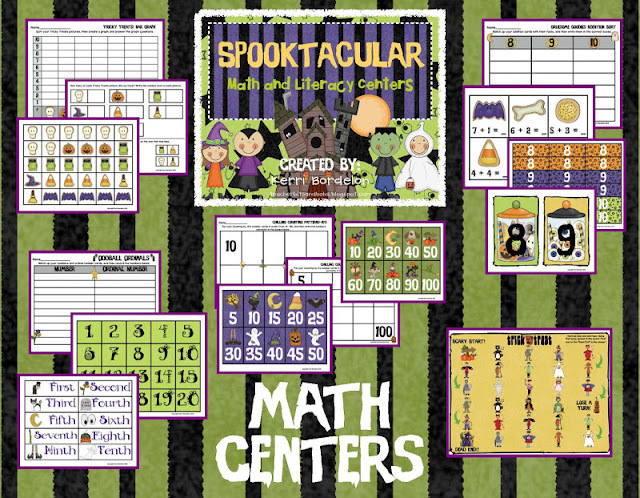 I will be incorporating these little spookylicious centers into the next 2 weeks of the Halloween madness!! Thanks for the freebie. I will be using it with my science enrichment group. Thanks for the great ideas!